"Gulf Stream", 2012; aluminum drink cans, wire, latex paint, MDF. 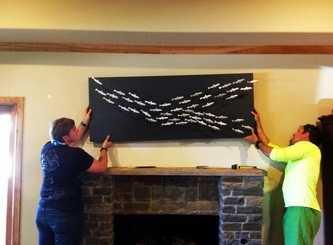 26" x 66" x 6". Commission for private collection in Plano, TX.